Lovely hexagons! Large, small, tiny ones, with cute prints, with flowers or simply plain ones. They are so much fun to make! 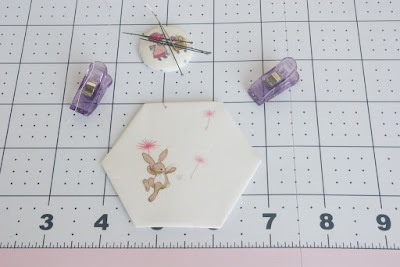 What I love about English Paper Piecing (EPP) is that it is a highly portable way of hand sewing that does not require a lot of material and there are hundreds (if not more) ways of using finished hexies in your projects. 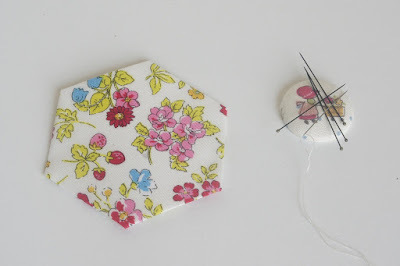 It's a very therapeutic type of sewing as well, calming and relaxing. 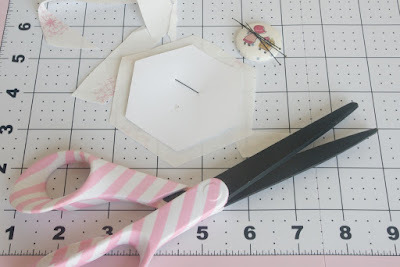 Today I would like to share with you the way I make my hexagon. 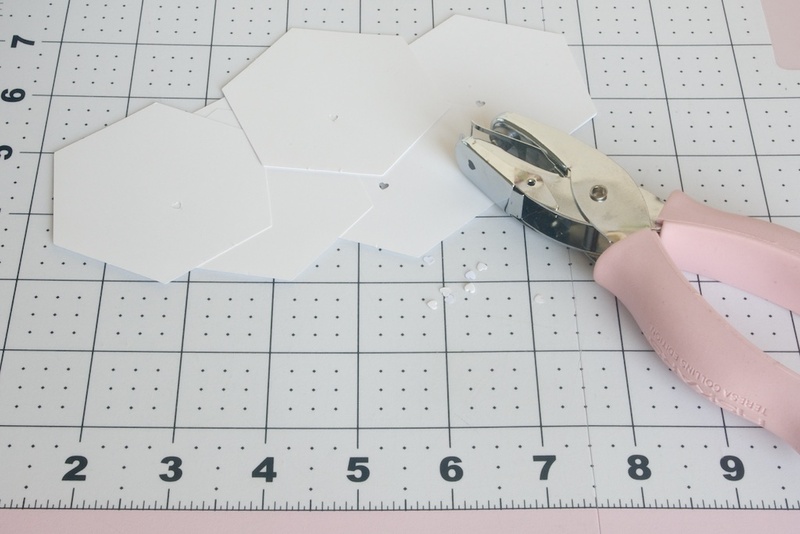 We only need a few things for making hexagons (or any other shape really): your paper templates/shapes, fabric, large sharp scissors, one pin, one wonder clip, one thin needle, cotton thread and small scissors and maybe a needle threader. 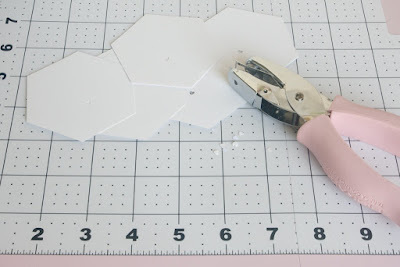 I start with punching holes in my paper shapes if I am using new ones. 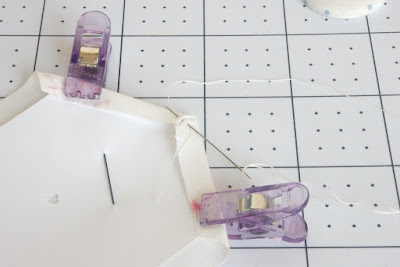 This way it's much easier to remove the papers from the finished shapes using a pointy object like a pair of small scissors or even a large needle. I saw this little trick in Carla's feed @cpeicheff on Instagram and I have been using it ever since. It's neat! Before cutting, I iron my fabric and sometimes even starch it with a little bit of spray starch. 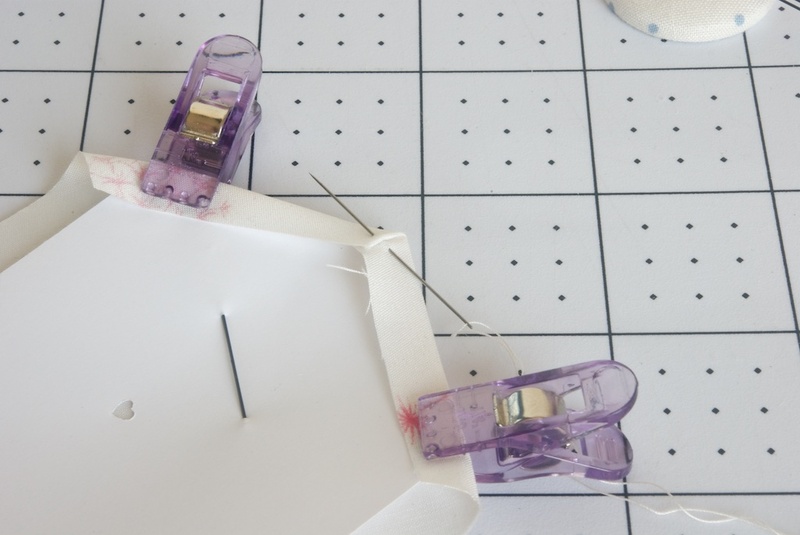 It's much easier to work with well pressed and slightly starched fabric. 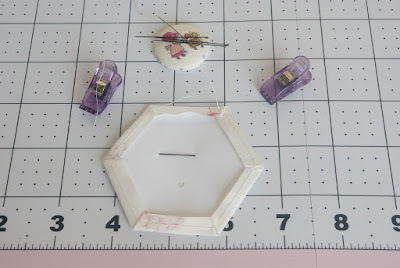 To select a particular part of the print for my hexagons (or any other shape), I simply put the paper shape underneath the fabric, aligning the top edge of the hexagon with the horizontal threads of the fabric and once I am happy with the selection, I pin it. 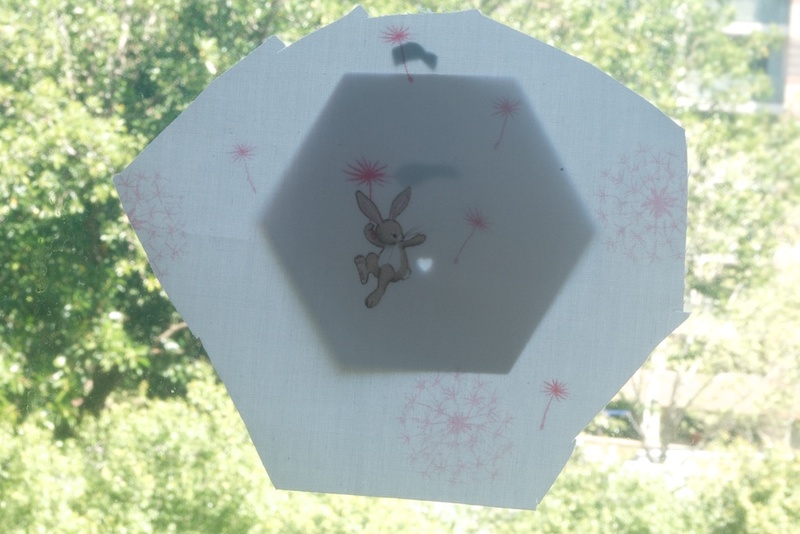 If it's too difficult to see through the fabric, I place the shape against a window and place the fabric on top. 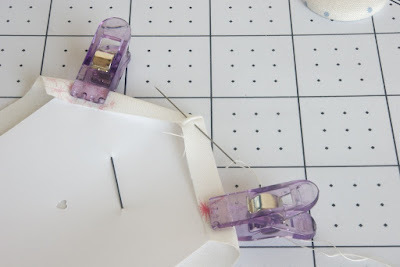 It works like magic, you do not need to spend any money on a light box that takes up a lot of space too. 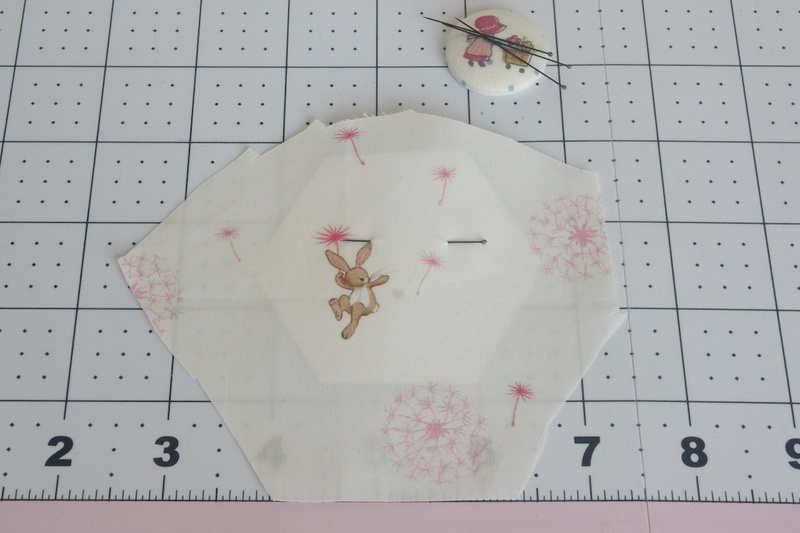 I do not trace the shapes, but simply pin the fabric in place and it's ready to cut. 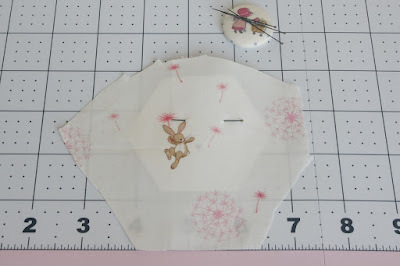 Flip it over and cut with a pair of large sharp scissors 1/4" away from the edge of the paper template and you will have a nice hexagon shape ready to be basted. 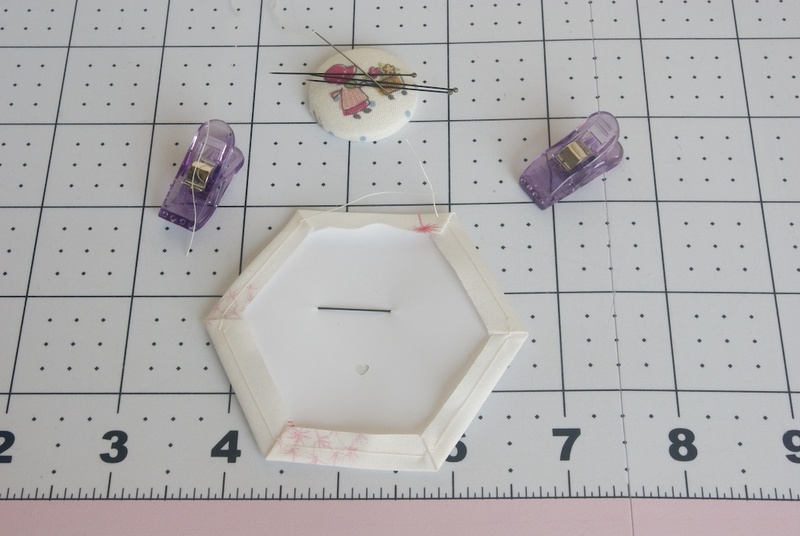 When it comes to working on English Paper Piecing (EPP) projects, I prefer the traditional method of basting, that is, a needle and thread. It's a totally personal preference. 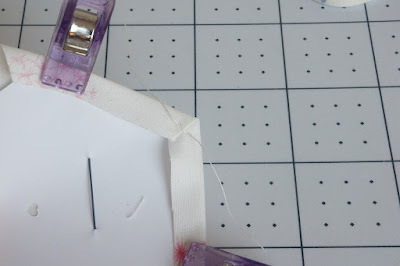 I find that even glue basting is more efficient, the removing of the papers is too fiddly and messy for my liking. I start at the top edge and go anticlockwise. Do not ask me why, I have no idea, probably for the same reason I put my shoes on starting with my left foot always without any thinking. 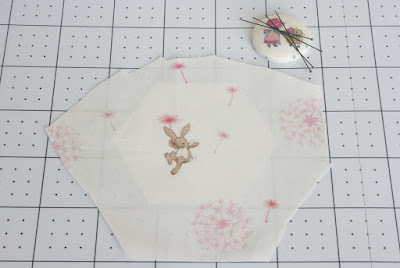 :-) Carefully fold the fabric over and press with your fingers to get a nice clean edge. 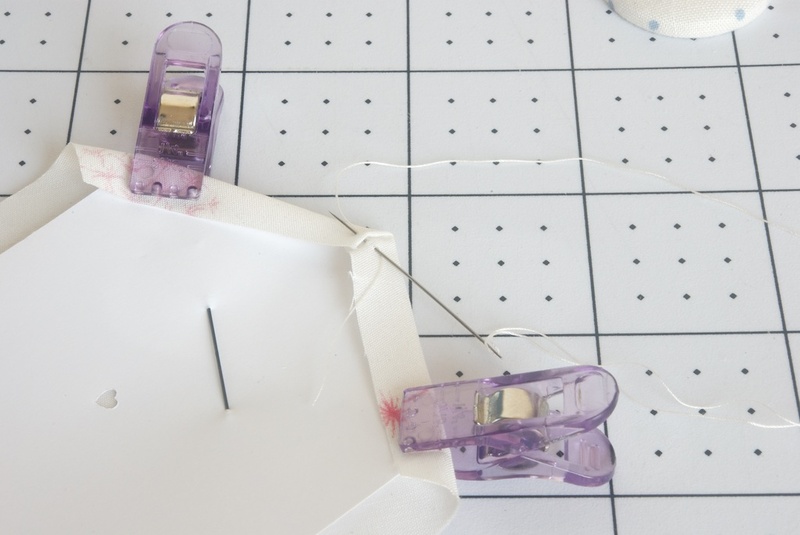 If you have starched your fabric, then it would be much easier to do that. 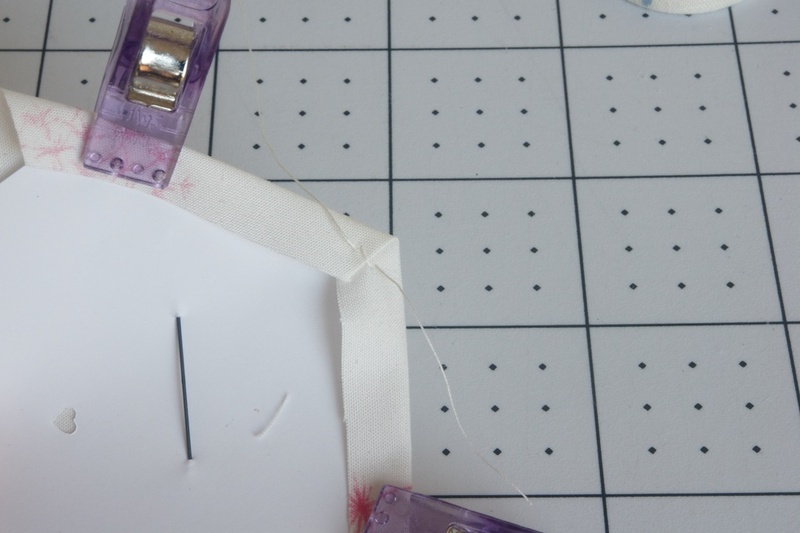 I like to use a thin, sharp needle and a cotton thread for this. 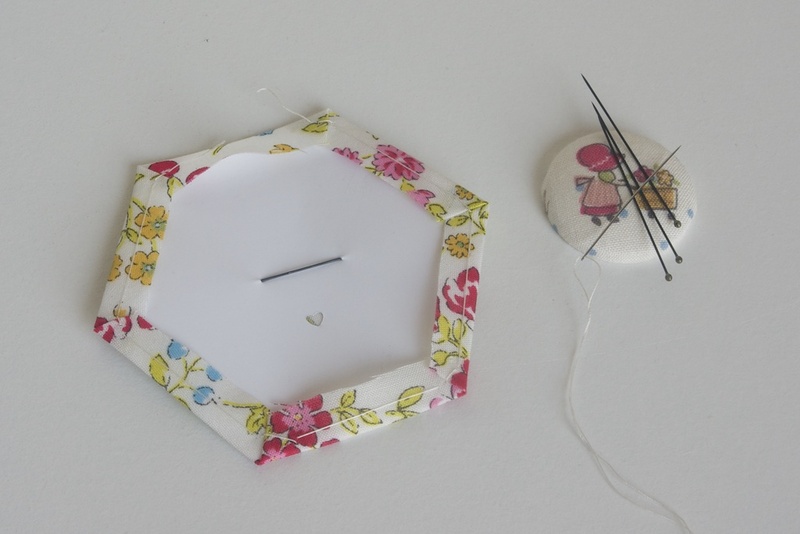 My favourite needles are Hiroshima Tulip Sewing Needles #9 Sharp Tip, or sometimes Applique Needle #10. Clip the folded side with a wonder clip (I have placed the second wonder clip on the left so I could take the photo, you do not need one there). 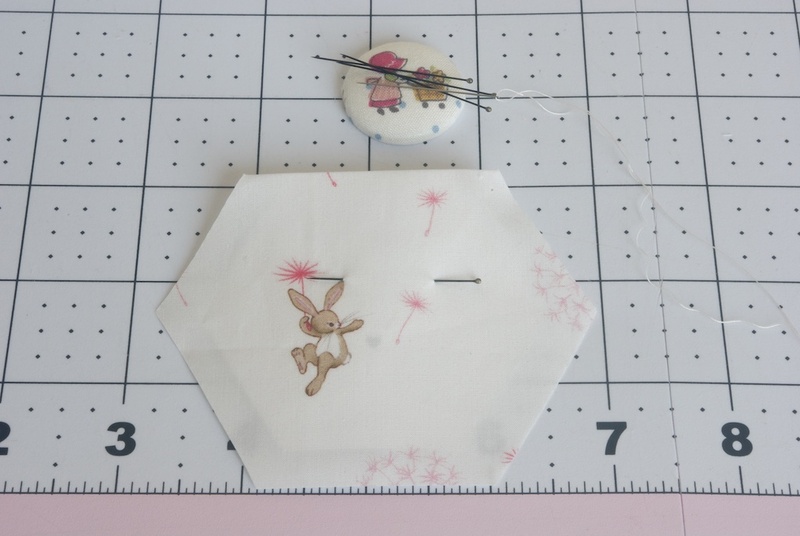 Carefully fold over the fabric on the next side of the hexagon, making sure that the corner is nice and pointy. Push the needle through all the layers of the fabric and stitch a couple of stitches to hold it in place. Continue to the next side folding the fabric and making sure that the corner is nice and pointy, make a couple of stitches. 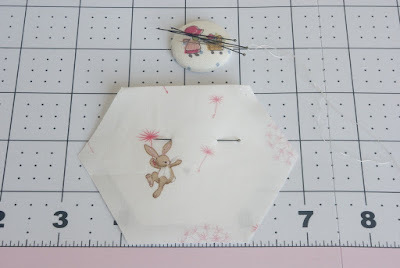 Repeat with all the sides until you basted the hexagon. 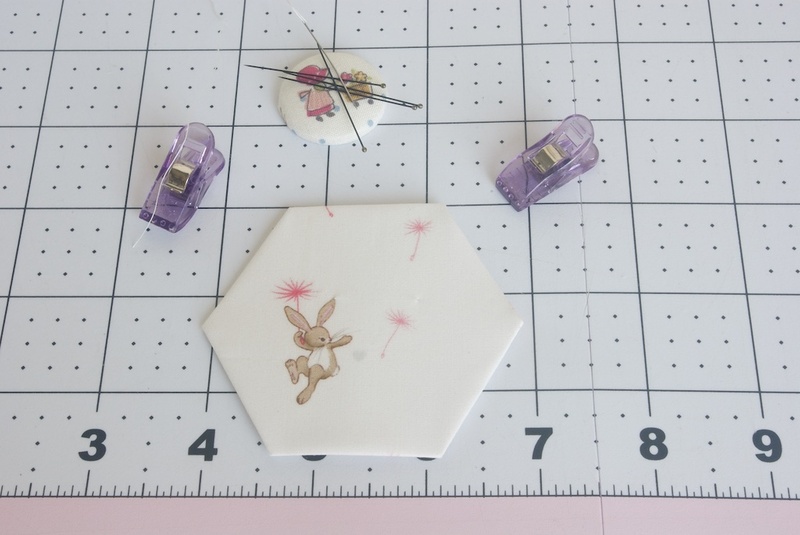 Make as many hexagons as you need and continue to Part II - sewing the hexagons together.